Chicago Cubs Kris Bryant and Jake Arrieta make guest appearances in the May 16 finale of Chicago Fire. Thanks to Filming in Chicago, fans already knew production was filming at Wrigley Field on April 12. Now we know what the story is. All-stars Bryant and Arrieta figure in a story about a young Cubs fan saved from a car accident by Firehouse 51 crew members. The boy endures his injuries as well as losing his irreplaceable Cubs baseball card collection in the car fire. To cheer up the boy, NBC says, firefighter Christopher Hermann (David Eigenberg) gives him an experience he will never forget. The 2016 World Championship trophy and NBC Sports announcer Mike Tirico also appear in the Season 5 finale. Production filmed part of the episode Wednesday at Wrigley Field before the Cubs-Dodgers game. The World Series winners will receive their championship rings before the 7:05 p.m. game. 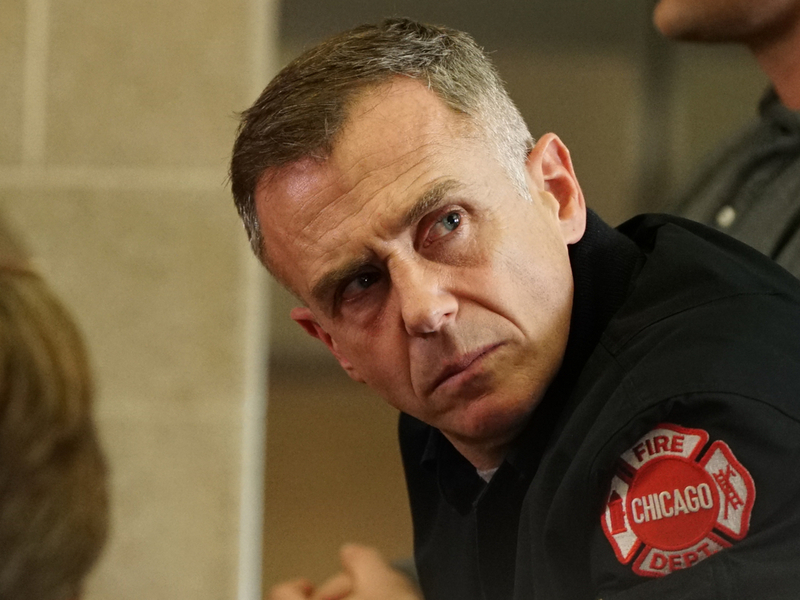 “Chicago Fire” airs at 10/9c Tuesdays on NBC. On May 16, the Cubs play Cincinnati at beginning 7:05 p.m. on CSN-Chicago.